“You’re so money, baby” a young Vince Vaughn told his friends as Trent in 1996’s Swingers. Choose today’s Name of the Day for your little boy, and you can say the same. Thanks to Jess for suggesting Sterling. It’s more subtle than Cash, but still conjures up an air of wealth. That’s because the pound sterling is the official currency of the United Kingdom. While we don’t suggest you name your child after the yen, Sterling’s story goes beyond finance. Once upon a time, the silver pennies minted in Medieval England were decorated with a star – or sterre in the vernacular. So Sterling means “little star” and can be considered not merely a numismatic choice, but a nature name option. It’s also one of the few precious gems and minerals monikers for a son. If your daughters are Ruby and Pearl, your sons can be Jasper and Sterling – as in silver, though sterling silver is actually an alloy developed in the 12th and 13th centuries. You may not have diamonds littering your jewelry box, but most of us do have sterling silver – at least in our dining rooms. This versatile moniker can also be considered a virtue names of sorts. Again, it’s a category with few choices for sons. But since Sterling has become a synonym for excellence, he might be Honor and Verity’s big brother. More than three dozen American cities bear the name Sterling, Mount Sterling, Sterling Junction or some other variation. It’s also been the name of a submachine gun. And yes, this appellation has been in long use as a surname. But as a first name, Sterling has never been out of the US Top 1000. It currently stands at #801, but has been more frequently bestowed in the past. The actor Sterling Hayden appeared on the big screen from the 1940s through the 1980s. Guitarist Sterling Morrison was one of the founders of The Velvet Underground. While this name has enjoyed steady use and can reference a variety of appealing meanings, it must be said that there’s an emerging trend against names that conjure up an affluent, school-tie-and-boat-shoe image. Choices like Spencer are starting to fade; the up-and-comers, like Miller, have a more blue collar vibe. So Sterling’s days may indeed be numbered. 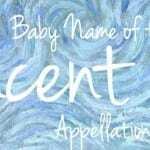 That said, it remains an intriguing choice for families seeking a nature, gemstone or virtue name for a boy. We have a Sterling and it’s been incredibly fitting from him from the very beginning. People love it and draw all sort of connections. Many grandparents had this name. The name Sterling isn’t supposed to have a nickname. It’s an original and is bound for success. Its a name of a cold hearted successful, business man. In the making. Its good and strong name to bear with dignity in my opinion. Thanks, Sara. I haven’t heard it for a girl before. It kinda works, doesn’t it? Silver would be stripper-ish, and Starling would be a mite too avian. But Sterling Grace is an interesting choice, indeed! Just like to add a side note, can be used for a girls name also. My sister named her only daughter Sterling Grace, to give her a unique, strong yet feminine name. And it fits her well. I can’t say I dislike Sterling, but I do think it’s oddly downwardly mobile these days. Unless it’s on your family tree, it feels like a stretch to use it. Still, I appreciate the fact that it doesn’t *sound* like other names, and yet isn’t so bizarre that it would require constant spelling and pronunciation. Cassius and Cassian are great choices – and fabulous ways to get to the nickname Cash, too. Sterling I find an incredibly yuppie name, probably due to the lack of nicknames. Like Another, I lump it in with Remington and all those. Not my style at all. I like the looks of Sterling but the lack of obvious nicknames bugs me. I classify him as you do, in the metal/gems.color category, so Sterling goes with Jasper, as you mentioned, and Garnet, Auburn, Rufus, Carmine, Tyrian, Cash, Mark, Reed, Hawthorn/e &/or Fennel. Sterling’s also got a Southern gentleman vibe, A bit stuffy, like Hippy said, but quaintly stuffy, and charmingly shiny. Sterling’s not something I’d choose for one of my kids, but I can appreciate his style! Sterling just seems a little too stuffy to me. I think I get that vibe because there’s no ready nickname. A little boy or kind of frivolous man named Sterling is hard for me to imagine. I guess it just doesn’t strike me as very versatile. Hey, I happen to know someone named Yen. Well, Yen is a Vietnamese name, though. It has nothing to do with money. And I know a baby named Cassius, whose mother said, “Like, isn’t Cassius the coolest name? I mean, what’s cooler than Cash?” to me when she was pregnant. I don’t know about Sterling, though. It’s out there with Remington, Hunter, Whitfield, in my opinion: more suitable for someone claiming Mayflower heritage. […] Sterling – Sterling is a grade of silver, and the pound sterling is the official currency of the United Kingdom.